When it comes to budget travelling with a style, the best Cotswolds cottage that your money can afford cannot be beat. Each self-catering cottage in the Cotswold combines the benefits of English country living set within an area of truly outstanding beauty with the merits of modern amenities within your grasp. Think of it this way: You are living in a centuries-old cottage set amidst the beautiful English countryside and yet you have modern 21st-century amenities from hot water to electricity at the flick of a switch. Isn’t life grand? Yes, only at the Cotswolds. 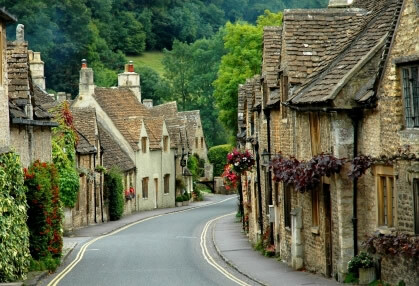 Yes, each cottage in the Cotswold is unique in its own way from its history to its location. There are many common attributes between these cottages, nonetheless, that make these structures truly English. Many a centuries-old Cotswold cottage has a storybook appeal with their sloping roofs, steep cross gables and sloped walls in the upper rooms. The materials used are common to the area, thus, making these cottages the best examples of organic architecture around, not to mention the most beautiful, too, despite the proliferation of amazing churches, monuments and other historical structures in the Cotswold. These materials include English elm for the beams and floorboards, oak for the window frames and doors, and honey-coloured limestone for the walls. Of course, you can choose from a wide variety of choices in your Cotswold cottage. On one hand, you have the centuries-old quintessentially English cottages with the basic amenities yet with the friendliest landlords. These cottages are suitable for budget travellers who want the full English country living experience sans the expensive cost. 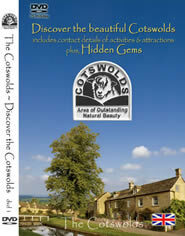 A few examples are The Huntings in Broadway, 100 Burford Terrace in Chipping Norton, and Candlemas Cottage on Bourton-on-the-Water. Angel Cottage near Shipton-on-Stour Warwickshire is a charming Cotswold stone cottage graded 4 stars by Visit Britain and is in easy reach of the villages of the north Cotswolds. The cottage sleeps 4 and is available to rent. Rose Tree Cottage at Pope’s Hill, Gloucestershire is in a picturesque setting on the edge of the Forest of Dean. Sleeps 6 with good accommodation. On the other hand, you have the contemporary-style cottages equipped with the modern, trendy and chin furniture, furnishings and appliances. Think of traditional English cottage on the outside and modern English flat on the inside. A few examples are Ashdene Cottage in South Marton, Barnscastle in Painswick, and Rose and Crown House in Chipping Camden. You may also come across several other names for a single Cotswold cottage, all of which point to the whimsical nature of its architecture. These names include Hansel and Gretel cottage, Anne Hathaway cottage, and English country cottage. No matter the name, one thing is sure – it will conquer your heart. Peter Titchmarsh[author]has lived in the Cotswolds all his life and his love and knowledge of the Cotswolds shines through. ______________________ Viator Tours in London and the Cotswolds.Tours are relaxing,fun and informative. ______________________ COMBINED HOTELS Combined Hotels searches multiple Hotel reservation websites simultaneously to help you find the lowest rate instantly-on any Hotel.Type in Cotswolds Hotels and all the Hotels, B&B's, self catering cottages and Hostel accomodation will be listed-at the best price.You can then book your accomodation safely,securely without any hassles. ______________________ This video camera has been the best seller for months.Perfect for making wonderful memories of your holiday.The price has been greatly reduced making it even more appealing.